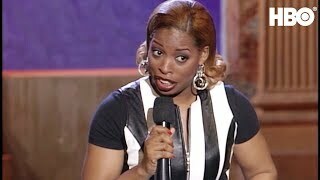 Adele Givens shined as a member ofThe Queens of Comedy. She has worked with noted comedians such as Sinbad, Damon Wayans, and Martin Lawrence. Adele's television credits include;The Steve Harvey Show,Tracey Takes On,Moesha,Martin,HBO's Def Comedy Jam, andShowtime at the Apollo.Adele was the grand prize winner of theCrown Royal Comedy Competition. You can catch Adele in the movieThe Players ClubandBeauty Shopstarring Queen Latifah.